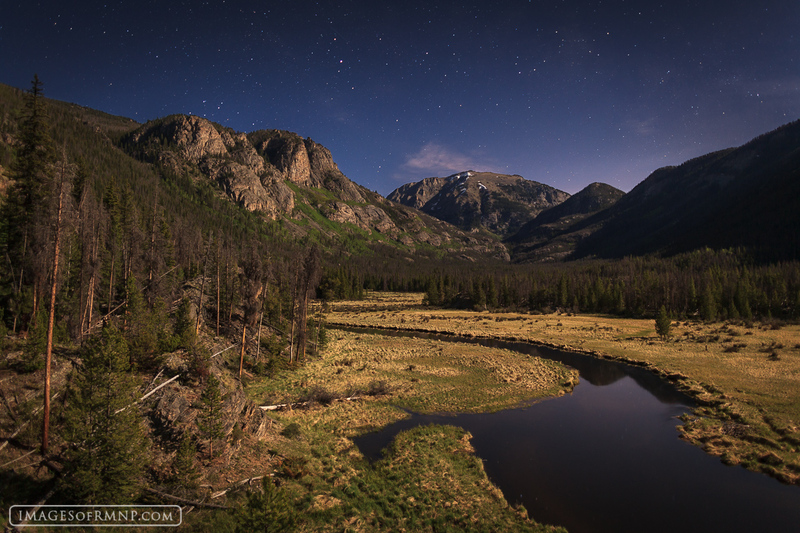 I seem to always find myself hiking through this meadow around mid-night on my way back from the high lakes along the East Inlet in Rocky Mountain National Park. Whenever the sky is clear it seems to call me to stop and take a few photos. On this night we had a nearly full moon which with a longer exposure made it feel almost like daytime. Photo © copyright by Erik Stensland.